Two nearby homes were briefly evacuated due to concerns about the steeple potentially collapsing. 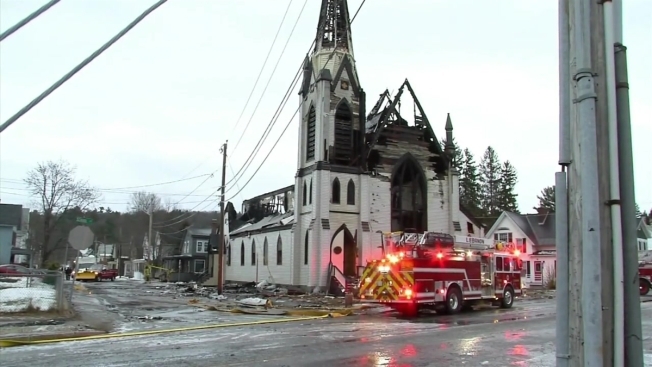 Nobody was inside the church when the fire broke out. The church was built in the 1800s. The building was declared a total loss. Lebanon firefighters were helped by fire departments from Hanover, Meriden, Plainfield, Canaan, Enfield,Grantham and Hartford, Vermont. School Street remains closed as an engineer assesses the steeple's structural integrity.